Whether you’re 13 or 35, getting braces can prove to be effective at straightening a crooked smile. With the right orthodontic solutions, you’ll be able to achieve a healthy and beautifully straight smile. There are a number of types of braces available today. The one that works for you will depend on a number of factors. 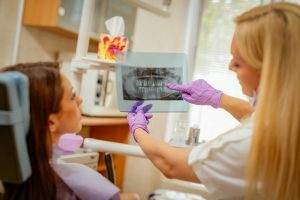 The condition of your teeth and your timeline for straightening your teeth will need to be considered. At Crown Dental we offer a number of choices in braces. Fixed braces and lingual braces are just two of the types that we can offer to our patients. The best way to determine which type of braces is right for you is to discuss your goals with your orthodontist. When they are in place, braces use steady gentle pressure to gradually move teeth into the desired positions. 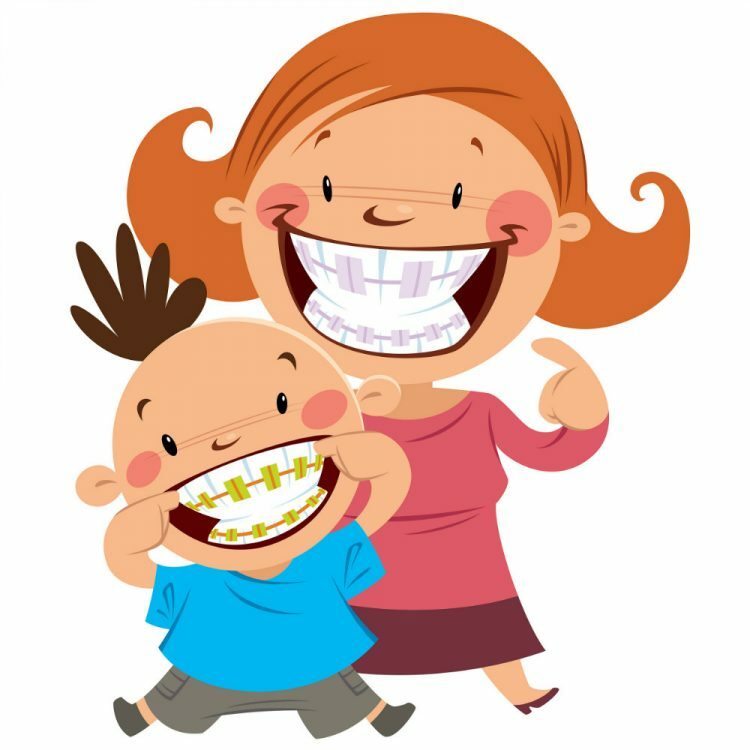 All braces typically work in the same manner, with gradual pressure moving teeth into their new positions. 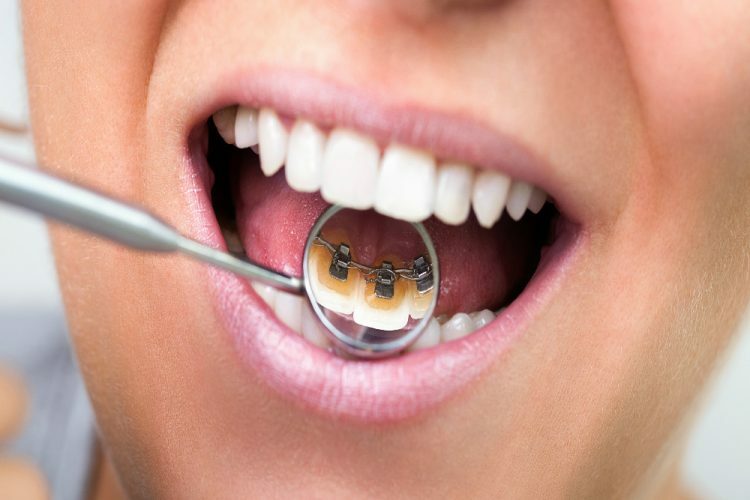 The process is slow, steady and should not cause any discomfort for patients once they are used to wearing the braces. The process is very much the same for all orthodontic solutions. Gradual steady pressure to realign teeth. Some patients do feel minor discomfort when their braces are first fitted. This is more often than not due to the strange way that it feels to have braces. Further discomfort may be felt once the teeth start to gradually move. Some patients do report an ache in their jaw or minor irritation against the inside of their cheeks or lips. This is all typically discomfort that can be controlled with over the counter pain medications. Some tips for braces first day of wear include taking it easy on the food and drink enjoyed. Try to avoid engaging in any activities that could potentially result in a blow to the face. And be certain you contact your orthodontist if the pain is beyond mild or if there is any bleeding. Am I a good candidate for getting braces? No two patients are alike, so no two treatment plans will be alike. Braces can treat a number of orthodontic concerns, including the following. 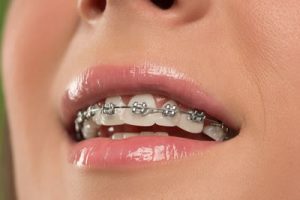 This is of course by no means an extensive list of the issues that braces can help to correct in both adults and children. A consultation with an orthodontist will help to determine whether orthodontic solutions will help to correct some of the concerns patients have. Every patient and every mouth is different. This means that the length of time that braces have to stay in place will vary. Following the instructions of the orthodontist and keeping up with routine checkups will help to keep the treatment plan on track. There are some types of braces that can achieve results in as few as six months. Fixed braces and removable tray braces have different requirements. With the use of removable tray braces patients are able to eat all of the same foods that they previously enjoyed. Fixed braces however could be damaged by sticky or overly chewy foods like toffees. Be sure that you are mindful of the types of foods you are eating, based on the types of braces that you have. It’s also worth noting that fixed braces may not make it easy for patients to floss between their teeth. Eating foods like popcorn and nuts may not be a good idea. When most people think about braces they tend to think of the traditional metal and wire braces as their only option. 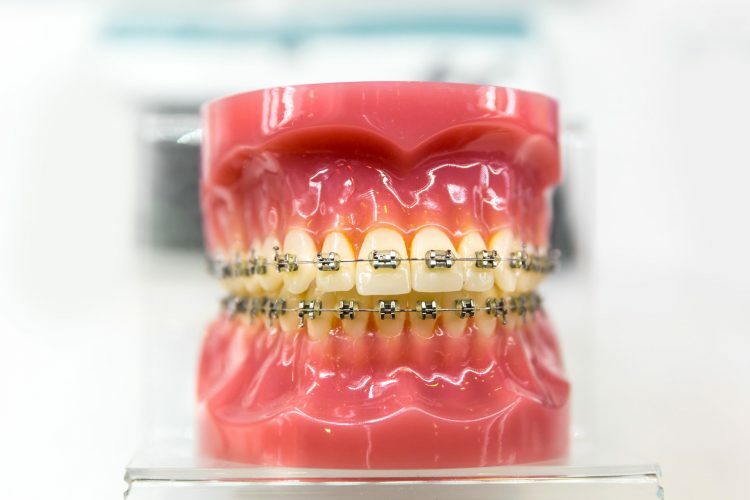 Today’s orthodontic options include the traditional braces, along with several other solutions that can each help you to get the straight smile that you’re looking for. These are what many refer to as “train track” braces. They include the metal or tooth-coloured brackets and wires that will gradually shift your teeth into the desired position. 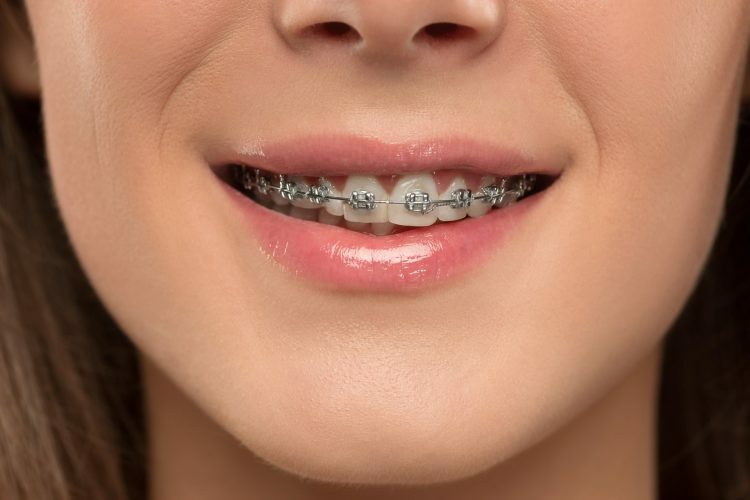 While these types of braces can be used to straighten cosmetic concerns, they are also useful for helping with a number of other concerns that could include concerns with your bite. These braces are very efficient at creating a straightened smile. This orthodontic system works much in the same way that the traditional braces do. The key difference is that each of the parts is tooth-coloured. This helps patients to avoid the “metal mouth” look that they may be trying to avoid. This system is also cosmetically-focused and will work well to re-align the teeth that are visible when you smile. Many patients may not be aware that lingual braces are an option. This orthodontic solution combines the traditional effectiveness of the fixed train track braces with a more discreet option. The braces are placed on the inside of the teeth. This will allow patients to see the desired results without very visible braces. 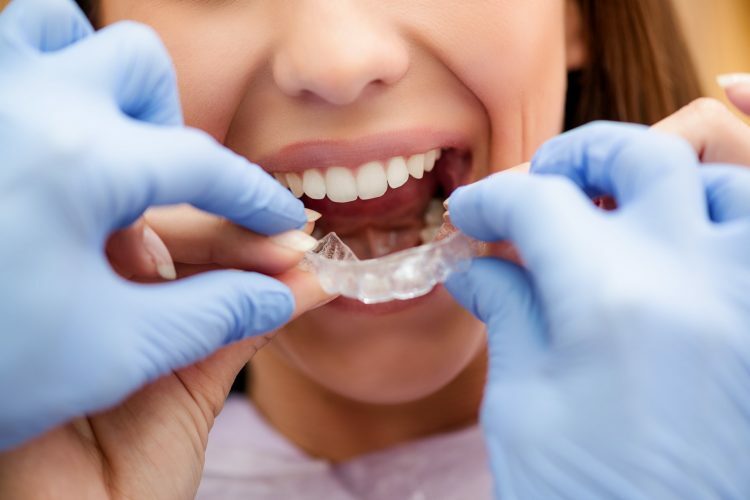 The Invisalign system makes use of clear flexible trays that will work to apply gradual pressure to your teeth. Each tray is to be worn for a few weeks at a time and then replaced with the next one in the series. This clear braces system is a good choice for those looking for discreet orthodontic solutions that also offer additional options when it comes to eating and keeping your teeth clean. The aligner trays can be removed when it’s time to enjoy a meal and can also be removed when it is time to brush and floss your teeth. This system is a cosmetically-focused orthodontic solution offering an unobtrusive way to achieve a straightened smile. While there is no-size-fits-all solution for dental treatments like braces, at Crown Dental we offer competitive pricing for all of our patients. 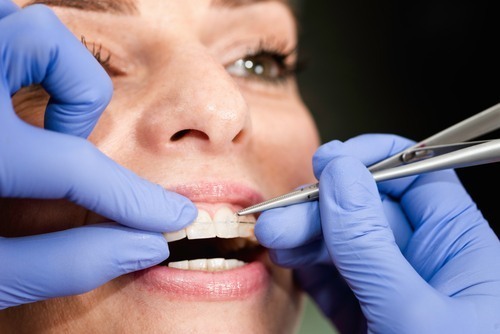 We have years of experience, and offer a wide variety of dental treatments. If you are looking for braces in Dublin, you’ve come to the right place. See our prices listed below, or call our clinic at to make an appointment. We have the perfect treatment waiting for you. Our wide range of orthodontic treatments ensures that you get the right treatment for you. Are you interested in finding out more about which type orthodontic treatment is the best choice for you or for your child? Book your appointment online or call our clinic at 014904656 to find out more information.